A cradle Catholic and a Catholic college graduate, Judy Cozzens is best known in Serra as the enthusiastic speaker and chairperson for College Connection for Catholics. She is no longer chair, but continues to advise and volunteer for the initiative, now called Newman Connection, which connects high school graduates with the Catholic presence at their college, especially ones that have campus ministry offices. 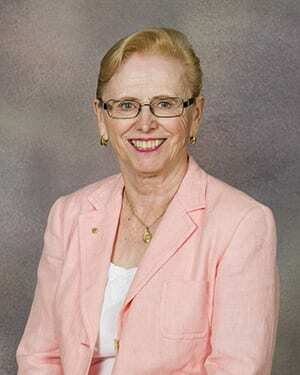 She is also a frequent speaker at Serra regional conferences on the topics of “Starting Parish Vocation Activities” and “Passing on Our Beautiful Catholic Faith.” Judy was honored as the Outstanding Serran of the Year for District 6 in 2006 and 2010. Judy has held the offices of Communications and Programs vice president for the Serra Club of Southwest Denver. She is currently a member of the Twin Cities, MN club. She is the a member of USAC’s national Vocations Committee, and was the Vice President for Vocations from 2015-2016. Judy is a very active volunteer in pro-life ministries and volunteers as support staff for training missionaries at NET Ministries, an organization which evangelizes to young Catholics via retreats, Masses, and other activities targeted to youth. “My husband and I believe that we have been blessed with good health and time and should use our retirement to give thanks to the Lord and promote His work in our family, our community and our nation,” says Judy. Last but certainly not least, Judy’s son, Andrew Cozzens, was ordained auxiliary bishop of the Archdiocese of St. Paul and Minneapolis on Dec. 9, 2013. He succeeds Bishop Peter Christensen as Episcopal Adviser for the USA Council on April 5, 2014. She asks for prayers for him in his new journey. Greg joined Serra in 1983, in his longtime home Omaha, Nebraska. He served in numerous capacities at the club level for many years until 1999-2000 when he served as club president. His commitment to the Omaha club continued for six years at the board level until 2005. Additional responsibilities: SI and USA Council Dialog committee representing Serra International; Current Member of Combined Administrative Office (CAO) Committee; SI Audit Committee for three years; USA Council Audit Committee, 2014; Chairman, Long Range Planning Committee – USA Council. Greg and his wife, Mary Lynn, have been married for over 40 years and have three grown children. They have been long time members of St. Leo the Great Parish in Omaha. Greg and Mary Lynn were active for over 30 years in TEC (Teens Encounter Christ) retreats in Omaha, and served on the national leadership team for over 10 years. Greg recently retired as president of L&M Construction Chemicals, an international, family-owned company which manufactured and sold concrete treatments for new and existing concrete placements. Greg has worked in the concrete construction industry since graduating from Creighton University in 1974. Richard Arians first joined the Serra Club of Mankato, MN, in 1995, and joined the Rochester, MN, club when he moved there in 2001. In Rochester he served two non-consecutive terms as president and a term as District 7-S governor. Upon relocating to the Mankato area, he re-joined his original club, serving a term as President while also serving as the Region 8 director. Richard has been a regular contributor USA Council Rally’s and leadership trainings. He has been the chairman of the Leadership Committee for the past two years. Mr. Arians has an undergraduate degree in Mathematics Education from the University of Wisconsin and earned an MBA from Augsburg College (MN) in 2012. His professional interests include serving as a business consultant for local companies, a USTA tennis umpire, and supplemental insurance agent. He regularly substitutes as a teacher at the Loyola Catholic High School in Mankato, Minnesota. He and his wife Ruth live in Madison Lake, MN, where they are active members of All Saints Catholic Church. They have two children. Homer Radford has been a member of Serra for 26 years and is a charter member of Serra Club of Southeast Kansas City, MO in the Diocese of Kansas City-St. Joseph, MO. He has served in various club officer positions, currently V.P. Vocations. Has served as Governor of District 12-2 East, 2000-2002 and continues to serve on the District Council as a Past DG. Following his term as DG he elected as Region 9 Director and served on the USA Council of SI Board. While on the USA Council he served as Chair of the USA Council of SI-Relationships Committee/a sub-committee of the Council Vocations Committee, a member of the USA Council Leadership Development Committee, Vocations Committee. He served as Chairman of the Vocations Committee, then as USAC VP-Vocations. During his term as VP helped to establish the College Connection program which has transitioned into the Newman Connection. Homer has been a member of both Diocesan and the National Catholic Committee on Scouting (NCCS) for over 39 years and is presently serving on the NCCS Advisory Board and is a 4th Degree member of the Knight of Columbus. He is the husband of Katie Radford and father of three sons, all college graduates and Eagle Scouts, and grandpa of nine grandchildren. Aileen Fields has been a Serran since 2005 and is currently a member of the Serra Club of Spokane, Washington. Soon after joining Serra, Aileen served two terms as Treasurer, followed by one term as President. As her Serran journey continued she served a three-year term as District Governor where she was integral in opening two new clubs, the Serra Club of North Idaho and the Serra Club of the Blue Mountains in Walla Walla, Washington. In her last two years as District Governor, she concurrently served as USAC’s Program Chair, assisting the Program Committee’s efforts to develop and execute a public relations/marketing plan for the Serrans Called to Holiness manual, conduct research for the development of the Liturgical Calendar and write articles for The Serran magazine. Aileen received a Bachelor of Arts in Psychology with a minor in English Literature from Humboldt State University. Her professional career is multi-faceted, having owned a destination marketing/tourism development sales firm and a manufacturing operation that created hand-crafted products designed for military, law enforcement and private citizens. 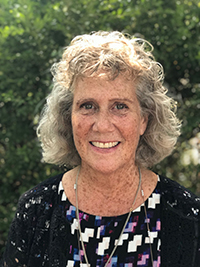 Aileen has also been executive director for the YWCA, advertising director for newspapers and special publications, and development director for a retreat center. Currently, Aileen is a practicing Secular Franciscan and Advisory Chair for Sisters of Mary Mother of the Church. As owner of Abbas Catholic Bookstore and part-time, licensed pre-need funeral planner and director intern, Aileen continues to work in evangelization, vocation development, retreat ministry and preparation for Eternal Life. Her favorite past times are spending time with her husband Jim, engaging in daily contemplative prayer, Mass, taking long walks in the woods and canning. Nancy Gibson has been a Serran since 2004 and is a member of the Serra Club of Johnson County, Kansas. Nancy has a bachelor of science degree in nursing and worked as a nurse manager and patient educator. She retired in 2011 after 47 years as a nurse to devote her time to Serra and various church ministries. Nancy has been involved in her parish for many years. She has taught religious education to 1st and 2nd year confirmation students for the past 10 years. She also taught 2 kindergarten religious education classes. She is a Eucharist Minister, member of the Parish Vocation Ministry, member of Companions in Faith working with a Hispanic parish and school as an outreach from her parish, member of the Archdiocese Vocation Committee, member of the Blisters for Sisters planning committee for the annual walk to recognize and honor the sisters in the Kansas City area, member of the planning committee for the Priest/Seminarian Golf tournament and the planning committee for the Pitching for Priests softball game between the Archdiocese of Kansas City in Kansas and the Diocese of Kansas City/St. Joseph, Mo. Nancy joined Serra at the urging of a couple of members of her parish. She really didn’t know much about Serra but after the first meeting she joined and decided to learn and become involved. She has served in her local club as the VP of Programs, VP of Membership twice, club President and is currently a club trustee. She is also District Governor for Region 9, District 12-2 Central. Nancy is currently the Vice President of Membership for the USA Council of Serra International. She served as Chair of this committee for 2 years prior to accepting the VP position. Her committee has been meeting on conference calls for the past 3 years and have been able to accomplish much to build membership within Serra. She has a great love for the Lord, The Church, her family and Serra. Col. (Ret.) John J. Halloran, Jr., has been a member of the Serra Club of Lake Charles, LA, since 1990. He is U.S. Army retired after 32 years of service and is a veteran of Desert Storm and Operation Iraqi Freedom 1. He holds a Bachelor’s degree in Math, and Master’s degrees in Administration and Pastoral Studies. He is active in many Catholic fraternal organizations including the orders of Malta and the Holy Sepulchre, Knights of Columbus, National Catholic Committee on Scouting, and the Boy Scouts of America. Since its inception in 2008, John has been responsible for coordinating and producing the annual Clergy and Religious Recognition Mass and Luncheon in the Diocese of Lake Charles. Thanks to contributions from the Catholic Daughters, Knights of Columbus, Knights of Peter Claver, Parish Altar Societies and Serrans, the event has raised and distributed many thousands of dollars to over 100 priests, brothers, sisters, and deacons celebrating five-year (or multiples of five) ordination and/or vow anniversaries. 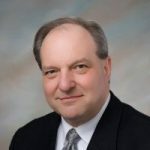 Past USA Council Membership Vice President Mark Bonkiewicz is well known in Serra for his engaging and dynamic speaking style. Mark has served his Omaha Serra club as president, Membership and Programs vice president, and as trustee. He also served as District 9-W governor for four years. Mark may have been a Serran for only 12 years, but in those 12 years he has recruited 10 new members for his own club and led three different teams to charter three new clubs with a total of 94 members. “Two of the clubs are located in the Grand Island, NE Diocese, where there are more cows than Catholics!” Mark says. Mark’s business career of over 40 years has focused on outside sales, marketing, and sales management. He owned and operated his own consulting business for 11 years. Currently he is Senior Sales Associate at Orent Graphics of Omaha Nebraska. He is a member of the National Speakers Association. Ray Vales has been a Serran for 11 years and belongs to the Serra Club of South Bend, IN. Ray has served as District 37 governor and was Vocations vice president for his club. Recently, Ray served two terms as Region 7 director before accepting his current role as USA Council Treasurer in 2015. Ray is a graduate of the University of Notre Dame with a bachelor’s degree in accounting and Columbia University with a master’s in business administration. His business career was in accounting and his last position was vice president of finance for Harcourt College Publishers. He has lived all over the country, but now lives in Granger, IN, with his wife of 43 years, Susan (who is now president of the South Bend club). Susan and Ray have six children. A native of Wichita, Kansas, Region 6 Director Gino Dimattia became a member of the Serra Club of Lima, OH, in 1997. “I joined Serra to help connect with fellow Catholics in what was a new community for me,” he recalls. Gino went on to serve as chairman of the Parish Contact Team, club chairman of Vocations Committee, club president, District 51 governor in 2009, chairman of USA Council Vocations Committee in 2010, and USA Council Vice President of Vocations. Gino is unmarried and works at St. Rita’s Medical Center as an occupational therapist. Sally Nance is a charter member of the Serra Club of Williamson County, TN and has been a Serran since 1994. She has served as club Communications and Programs VPs and as President. She is District 18 Governor and a recent recipient of the “Face of Serra” Award. Sally has been a member of St. Philip’s Catholic Church for over 30 years. She owned a travel agency, but is retired now. She lived in Asia for 14 years with her late husband who worked with the U.S. State Department. She has two grown children and three grandsons. It is an honor to be able to introduce myself to the membership of Serra International. I’ve been told that my Serra story is rather an amazing one of someone raised in the Lutheran faith, converted to Catholicism in 1961 and became a Serran in the Serra Club of Duluth, Minnesota. In 1975, I was asked by a good friend if I would be interested in joining Serra. I was not aware if what it was all about but was curious to know more about it. In those days you would have to go through an interview prior to joining. There they told me all about Serra and I was accepted as a member. Since then, I have held most of the VP positions, the president position twice and am currently the VP of Membership. I was the District 7 Governor from 2010 to 2012 and enjoyed the position very much. I traveled to the National Convention in Alaska and met a lot of wonderful people. The District Governor position is very rewarding, not only in the people you meet but the Bishops, priests and religious you work with. You come away from the job, hoping you’ve done a little bit of good for Serra. I am currently working with the National Membership Committee on the retention part of membership. There is so much we have to do to get our younger generation interested in Serra and the work of Serra. We have a great need for more Priests and religious in our Catholic Faith. I am looking forward to the position of Regional Director to which I’ve just been elected. I feel the communication between the Serra Clubs throughout Region 8 is going to be the biggest challenge– to get them all to work together and use their best ideas to accomplish the work of Serra. We have 4 Districts within the region which are District 7, the Twin City area, St. Cloud, Buffalo, Duluth. District 7S, MN Winona, Rochester, Wabasha County, Mankato, Owatonna, Sleepy Eye. District 7W, SD. Sioux Falls, Aberdeen, Watertown SD and District 137, ND Bismarck North Central. I look forward to the challenge and hope I will have the support of all the Serra Clubs in the Region. On a personal note: My wife, Mary, has always been an avid supporter of my involvement in Serra. She and I were married Sept. 4th 1959 in St John’s Catholic Church Hugo Minnesota. We have 3 children: David, Mark and Amy, and have been blessed with Seven grandchildren: John, Mack, Melanie, Charley, Cory, Jack and Ryder. Michael Downey. Born 1952. Raised in Des Moines, IA. Industrial Engineering degree: Iowa State University, 1974. Law Degree, University of Iowa 1977. Law Clerk Iowa Supreme Court Justice Mark McCormick 1977-1978. Associate General Counsel, Des Moines Register and Tribune Co. 1978-1980. President of Register affiliated printing company Commercial Printing, Inc. 1981-1986. My family purchased the company in 1986 and renamed it Downey Printing Inc. specializing in printing and binding telephone directories in North America. Sold business in 1998. Retired. CEO Handera Inc., a Palm licensee and designer and manufacturer of hand held computing devices 1999-2012. CEO & President of Schafer Systems, a plastic manufacturer 2005-2007. Lay Advisory Committee to Des Moines Vocations Director 1999-2003. Joined Serra 2003. Offices held in Des Moines Serra Club: VP Vocations, President, VP Communications. Chaired two Region 9 Conventions in Des Moines IA: 2005 and 2015. District Governor for Iowa 2013-2018. Currently Chair, US Serra Leadership Committee. 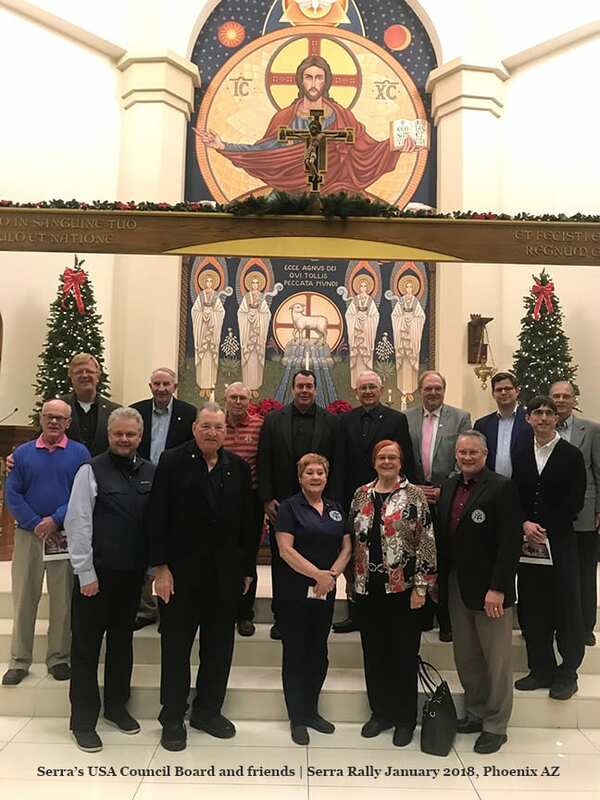 A former member of the Santa Clara, CA, Serra Club, Diana Seixas is now a Fresno club member and has served Serra in many positions over the past 15 years, including as club Membership and Vocations VP, and as club President. She has been a District Governor, Regional Director, and Vice President for the USA Council Communications Committee. She and her husband, Michael, are very active in Serra. Bob and his wife, Virginia, live in Lakewood, Colorado. THey are members of St. Jude Catholic Church in Lakewood. Bob serves as a Eucharistic Minister at St. Jude and also a Caring Minister, taking the Eucharist to Catholic patients at Lutheran Medical Center every month. He joined the Serra Club of Southwest Denver in February 2010 and has held the following positions: VP Communications, Club President, and currently Secretary. He is also a past District Governor. The Bucheits have two daughters and two grandchildren. Bob is retired from the General Services Administration and served in the US Air Force from October 1961 through October 1965.